It may seem like business finances is a well known topic that all business owners have mastered. However, if you ask the typical owner what is the difference between gross and net, you would be surprised at the amount of confusion out there. In this article, we are going to review the most powerful business finance concepts that will help you take control of your business's money issues. Don't worry, we don't get overly boring or too far in the weeds on this one, only the most practical stuff that simply works. Keep in mind that I'm not an accountant, and can't give you that kind of advice. 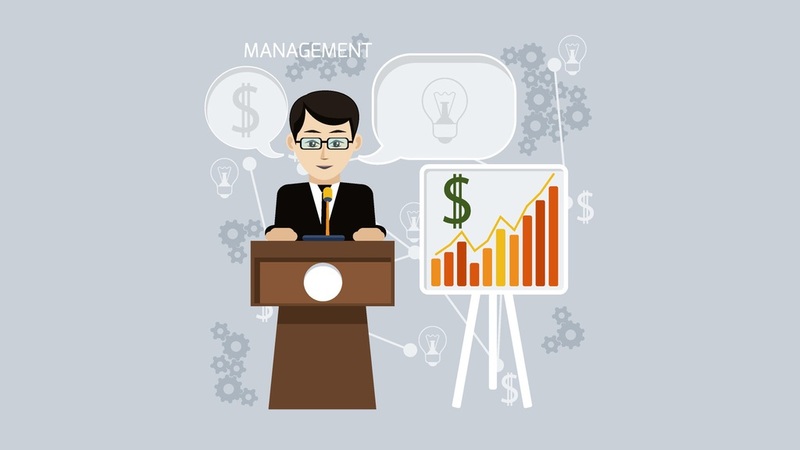 However, I am a business strategist, and have used this stuff to improve many businesses. Finances are just one part of the overall strategy for growing your business. Having the proper discipline in your finances, both personally and for your business, is one of the most important factors in determining your long term success. Let's face it, life throws us some pretty hard curve balls every once in a while, and money in the bank is the only thing that is going to help you get through the really bad ones. That's why it's critical that you have proper financial discipline, so that you have plenty of cash to survive the next storm. Plus, money in the bank is the best way to scale or your business by expanding. The best way to visualize these type of concepts is to think of your business as a black box. Money comes in, and money goes out. And the money that is left over, is what you get to keep. Pretty simple, right? You're probably thinking, well that's obvious. Tell me something that I don't know. The part that you don't know might just be where you find the ability to really change how your business is performing. You see, those bean counters have come up with some really great abstract concepts about money that when properly applied to your business, can improve your profit margin, making you more money. In fact, there are mountains of great business accounting advice out there. Next, we will take a look at some common terms and how they relate to your business. 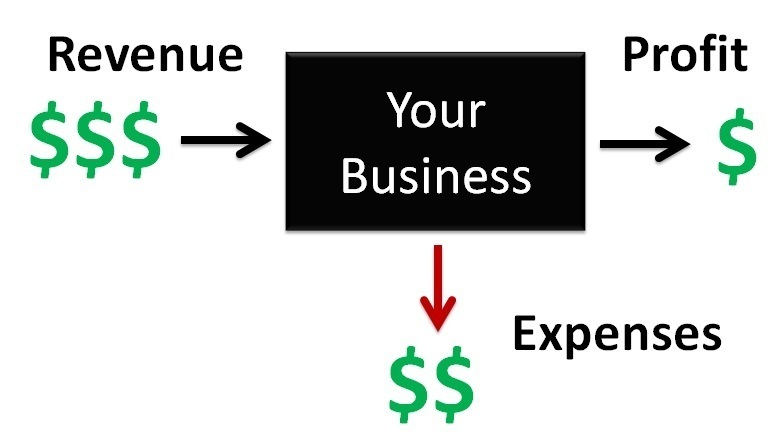 Revenue is simply income, or money coming into the business. These costs are the costs that are fixed, no matter what the business does. You have to pay these no matter how many products or services that you deliver. It's also known as overhead or operating costs. These costs are the costs that change in proportion with how many products you make and sell or services that you deliver. These include any materials, labor, sales commissions, payment fees, equipment, and shipping related costs that you had to spend to make products or deliver services. The key is that these change when you change how many products or services were delivered. Gross profit is simply revenue minus variable costs. Gross profit margin is the gross profit divided by revenue. It is a great metric for comparing products or services with each other. However, it is not great to use for looking at the business overall since it does not include your overhead costs. 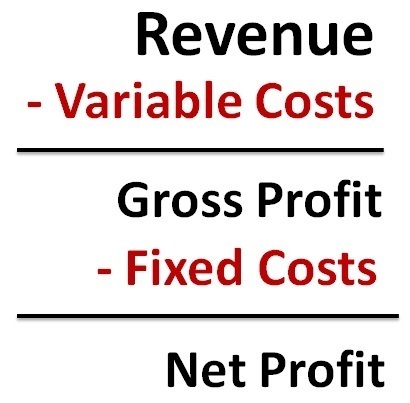 Net profit is revenue minus variable costs minus your fixed costs. Your net profit margin, which is the best way to determine how your business is performing, is simply the net profit divided by revenue. Keep in mind that there is a difference between the actual dollar amounts and the margin for both gross profit and net profit. What I mean is that you could double your net profit dollars without changing your net profit margin by simply doubling your sales. That's why it's important to track both the dollar amount and the margin percentage. The dollar amount is your actual performance while the margin is simply an indicator of where your performance is currently at compared to where it could be (for better or worse). The reason why we keep gross versus net profit separate is because businesses can drastically change their fixed costs while variable costs can remain the same. Pretend that you move offices or open up a new plant. Gross profit is individual product or service focused. While net profit is focused on the entire picture of your business. That way these numbers can be useful in determining how the different parts of your business operate. We have three variables here to play with: Revenue, Fixed Costs, and Variable Costs. Let's explore the order of attack in getting your net profit higher, which is the bottom line. The quickest way to turn around your business finances is to cut costs. Since we know that there are two types of costs, fixed and variable, you have to treat these two differently. The quickest method is to cut down your fixed costs since it is common to your entire business. Chances are it will be your biggest collection of expenses. Simply list your fixed costs per month in a spreadsheet and then sort them from biggest to smallest. Then actively go down the list one by one and brainstorm ideas on how you can reduce costs. Do you need to move your offices into a smaller building? Can you switch providers of a common service to save money? What are you paying for that is not moving the needle in your business? The next step is to take a crack at your variable costs, but this is going to be much more work. For example, if you want to cut your variable costs, you need to look closely at each product or service that your business offers individually and then figure out how to reduce these costs. If one product uses a certain supplier, then you can look at getting other suppliers who offer the same parts cheaper. You might be able to get higher quantities at a time in order to cut the cost down and save on shipping as well. You might even be able to redesign or reformat the product to knock the costs down as well. Perhaps there's a new technique or equipment that can shave down the labor quite a bit. The key here is that it has to be done individually, unless you have products and services that share the same component. The third step is to focus on increasing your revenue. You will need to sell more products and services here. Typically, that means investing more in marketing in order to drive up your sells. Or you could troubleshoot your sales process to figure out how to maximize sales. The best way to do this is to carve out some savings in the steps from before, and invest those savings into marketing dollars that will get you more customers. I recommend using SEO to get more visitors to your website, and you can check out my SEO guide to learn more on how to do it. If you have decreased your costs, then the increase in selling more will multiply the effect of your savings which will drive up your net profit. Selling more will also increase your net profit margin, because it starts lowering your fixed costs per product or service since there is more quantity for the same amount of expenses here. Another option is simply increasing your prices if your market space will allow for it. You may even have to increase the quality of your product or service to justify the higher costs. Or, you will have to re-position your marketing to be at a level of higher quality in your customers' eyes. Let's walk through a couple of examples to show you how powerful optimizing your business finances can be for the bottom line. These examples are available on a public Google sheet here. Simply go to "File", then "Make a copy" if you want to play around with the numbers on your own copy. In example 1, we have product A that we take a look at and reduce the variable costs for materials and labor. We are knocking both of these down around 15%. With the changes, we got a 10% gain on the gross profit margin from 22% to 32%, and the net profit margin went from 2% to 12%. These changes are significant when you consider this product's quantity sold and can have major effects on the business. In example 2, we went one step further than example 1 and targeted the fixed costs as well. By getting rid of useless services in the business that were not moving the needle, we lowered this cost. The overall effect bought us another 2% increase in net profit, from 12% to 14%. For those keeping track, we moved our net profit amount from $10 before, to now $70 for each product sold. That is a 7x increase! In example 3, we pushed our savings into marketing so that we could increase our sales. By increasing the amount of product that we sell by 25%, the effect was that we reduced our fixed costs since we are pushing more amount of product for the same overhead. The results are a 16% net profit. With the optimizations that we did, where we lowered both our variable and fixed costs, plus increased the units sold, we are looking at $100,000 net profit. Which business would you rather be running? The one before making $10,000 net profit, or the one after optimizations making $100,000? Because of how things compound, we grew our net profit by over 10 times! You have to realize that the optimizations shown here are realistic and doable, and the results are simply amazing. By tracking these business metrics and running reports frequently, you and your team have the chance to continuously optimize these variables and transform your business into a net profit machine. If you need some help doing this for your business, don't hesitate to contact me. All you have to do is click on the button below to schedule an appointment, or you can call me and I'll take it from there. Talk soon.